Travelling together as a family can be an immensely bonding experience, full of quality time and a chance to reconnect as a unit. Where you sleep at night and relax after a day out exploring can have a major impact on the enjoyment of your holiday. The majority of hotel accommodation in the USA is in large hotels, which tick all of the boxes for facilities, but can leave you feeling less than inspired about sleeping arrangements - you either all have to cram in one room together sharing beds, or you have to split across rooms. We have chosen our five favourite hotels that offer something a little different for families; giving everyone a little more space to spread out and giving parents some privacy. 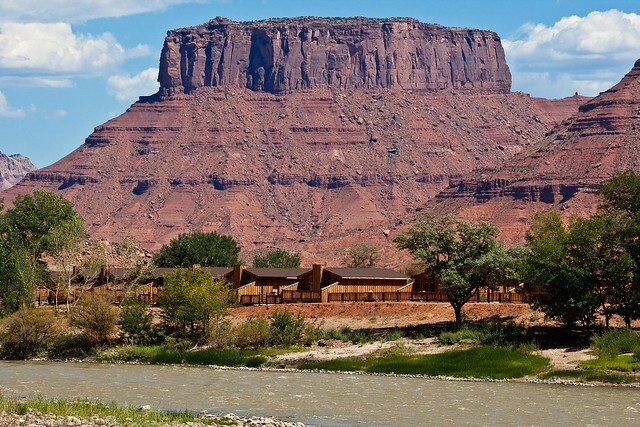 Located on the banks of the Colorado River, this lodge has some fantastic 2 bedroom cabins with river frontage. The cabin accommodation is self contained, there are two bedrooms a kitchen / lounge area with sofa bed and then also a private outside deck which gives adults somewhere nice to sit and relax once the children are in bed. The property also has a pool and tennis court and there are horses on site, so riders can head off and explore for a few hours. Las Vegas doesn't stand out as a family friendly destination, but this non-gaming hotel makes a fantastic base for families visiting the city. This is an all suite hotel, meaning that every room has a kitchenette, large bathroom, bedroom and lounge area with a sofa bed. Families can spread out here and parents can have their own room. There is a good sized pool on the property, which is surrounded with sun loungers, so parents can lie back and sun bathe while the children swim. 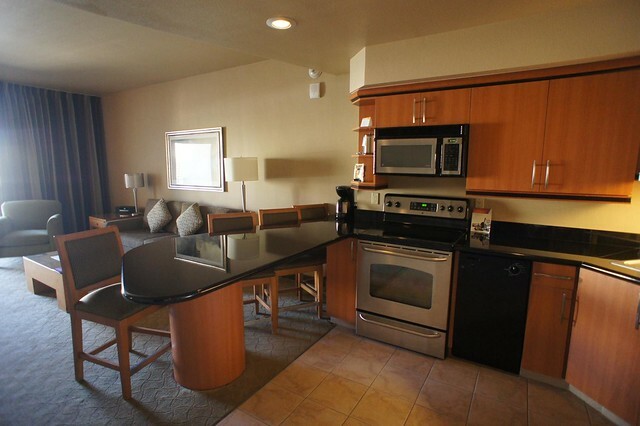 We love the family suites at the Beach Street Inn. 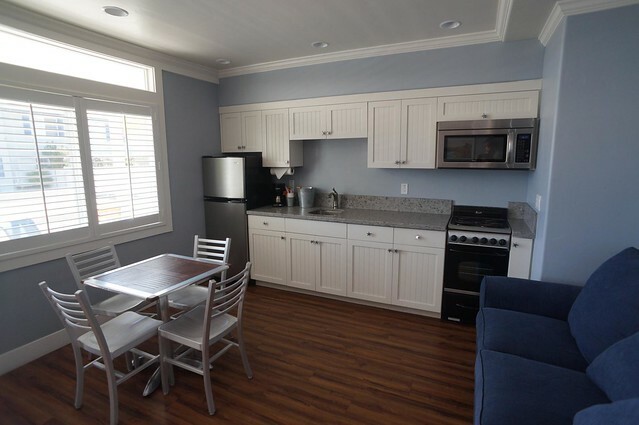 Located in the heart of Santa Cruz just across the road from the beach, this is not the most expensive option in town, but it is a friendly motel with beach chic decor. The family suites have one or two bedrooms with a large kitchen / lounge with two sofa beds, so there is ample room for families to spread out. Outside the room, there is a verandah with seating area, so there is somewhere for parents to sit outside while the children are in bed. The beaches in the town are ideal for beginner surfers / body boarders and you can rent gear on the beach. This is a high end option, for families wanting more of a resort style stay. 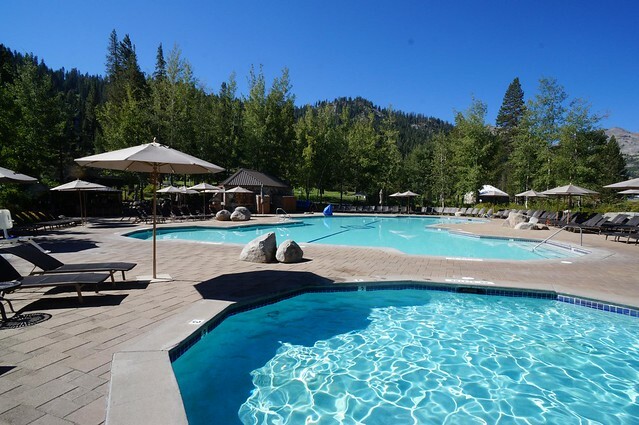 Located in the north of Lake Tahoe in the Squaw Valley which was home to the 1960 Winter Olympics, the resort has mountain views and is the perfect base for mountain biking, stand up paddle boarding, or simply just relaxing. Family suites in the hotel offer a bedroom for parents and then a kitchen / lounge area with sofa bed. The resort has four hot tubs (which are especially magnificent under the stars at night) and three swimming pools, one of which has a water slide, which will keep children entertained for hours. Some of our guests have enjoyed a lovely stay here with one parent heading off to go mountain biking whilst the rest of the family relaxes around the pool. It is unlikely that anyone visiting Los Angeles with their family is going to avoid a visit to the theme parks. 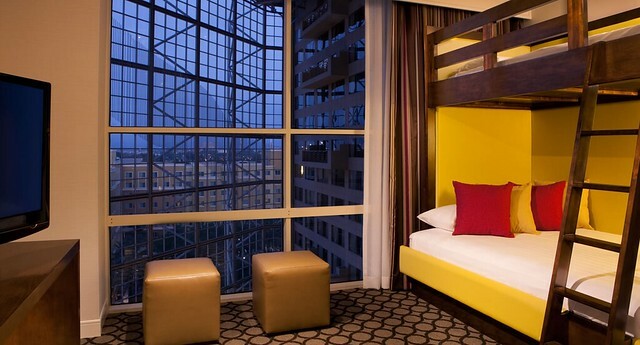 There are Disney resort hotels, but we love the Hyatt Grand in Anaheim, 10 minutes down the road from Disneyland. The family suites are not only exceptionally good value, but they are cleverly designed with a family friendly lay out. Children sleep at one end of the room in bunk beds and then there is room divider giving parents that extra space and privacy for the evenings. The hotel has two pools, a basket ball court and giant board games outside. This is a very family friendly hotel, so you can lie back on the sun lounger not worrying if your child is splashing around too much in the water.